One of the worst things that could happen to your phone is when you drop it and the screen develops some problems. When this occurs then it’s usually a hardware issue already which can’t be fixed by troubleshooting the software. 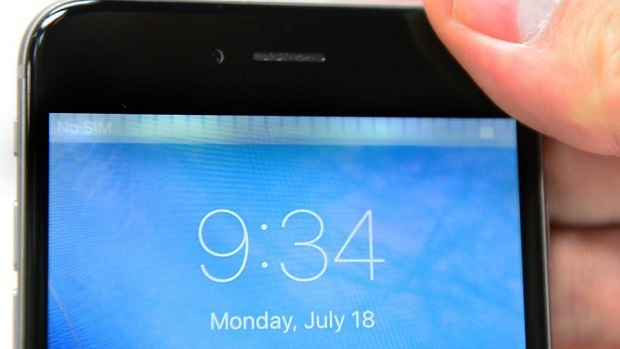 One of our readers is having this issue where the screen becomes unresponsive and a grey flickering bar can be seen at the top of the display of the #Apple #iPhone6Plus after it got dropped. Let’s take a look at the details of this issue which we have addressed below. Solution: The grey flickering bar that can be observed in your phone is most likely caused by the touch IC of the device that has either become loose from the board or has become defective due to the drop. There are two ways to fix this problem. It’s either the touch IC has to be resoldered to the board or replaced with a new one. While this may fix the grey flickering bar issue there’s also the issue of the display becoming unresponsive at times which could be caused by a damaged display assembly. Overall, we are looking at the possibility of replacing not only the touch IC but the display as well. If the technician that will perform the procedure of replacing the touch IC has successfully performed this before then I recommend that you have this fixed. Take note that this may only resolve the grey flickering bar issue.